This past July, 101-year-old Julia “Hurricane” Hawkins became the oldest female athlete ever to compete in the USA Track and Field Outdoors Masters Championship, shaving 6 seconds off the world record for 100 meters. Want to be more impressed? She took up running merely a year earlier when she was 100 years old! It goes to show that it’s never too late to begin exercising. No matter your age, it’s possible to stay active at every stage of your life. 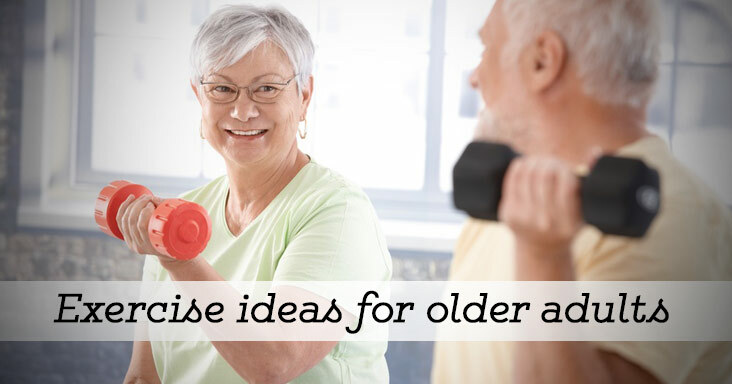 Consider the benefits of exercise, which include disease prevention, energy boosts, pain and weight management, improved mood and memory, and more. With any exercise program, be sure to get clearance from your doctor first. Balance & Flexibility Exercises – To help with standing, stability, and flexibility. Try yoga, Tai Chi or Qi Gong. Cardio Exercises – To get your heart pumping. Try walking, swimming, hiking, dancing, tennis, classes at a local gym. Strength Training – To build muscle and prevent loss of bone mass. Try free weights, weight machines, elastic bands, or exercises that use your own body weight.